Finally, after a long break, arrives my first post pregnancy post 🙂 ! First of all, I have to thank my friends Stela and Ivna for keeping this little blog alive with their amazing posts while I was trying to figure out my new mommy role. My little baby girl Ena is now three and a half months old, and she has become our new partner whenever Stela and I manage some time to do photo shoots. I thought it is appropriate to start this new fashion blogger / Ena’s mommy adventure in my colorful style – and which color is the best one two announce new life, new energy, new start? Of course, it’s splash of yellow! Yellow is the color that captures our attention more than any other color. In almost every culture yellow represents sunshine, happiness, and warmth. It is the most visible color of the spectrum and the human eye processes yellow first. This explains why it is used for cautionary signs and emergency rescue vehicles. It’s a primary color and so it’s the base of endless shades of colors. Yellow remains full, pure, and immune to all chromatic contamination. Enough with the small talk, let’s show you some pictures! Everyone I meet, even random people on the street ask me about Ena’s pushchair. It’s by the fantastic British brand Cosatto, and it was love at first sight! Idea for today’s post started with one of my favorite pair of shoes – black leather gladiator sandals. I bought them five years ago on a big sale. I remember watching them for weeks and saving up my money to buy them. They truly are powerful fashion statement. I don’t feel the need to wear anything colorful or extravagant when I have them on my feet – simple black dress is my favorite choice. I am a big fan of books “Song of Ice and Fire” and series filmed by them – “The Game of Thrones”. My favorite character is by far Daenerys Targaryen, also known as Khaleesi or Mother of Dragons. I’m very proud that big part of the scenes for the last couple of seasons of this TV series is filmed in Croatia and in my hometown Split. With my friend and photographer Stela I came up with the idea of this post being a tribute to the wonderful George R.R. 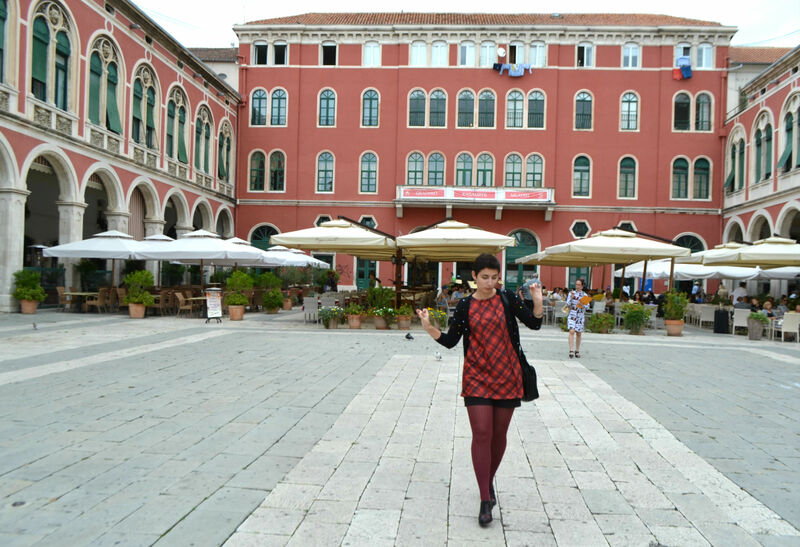 Martin books, Roman heritage of our hometown and a fashion trend that cannot go unnoticed. 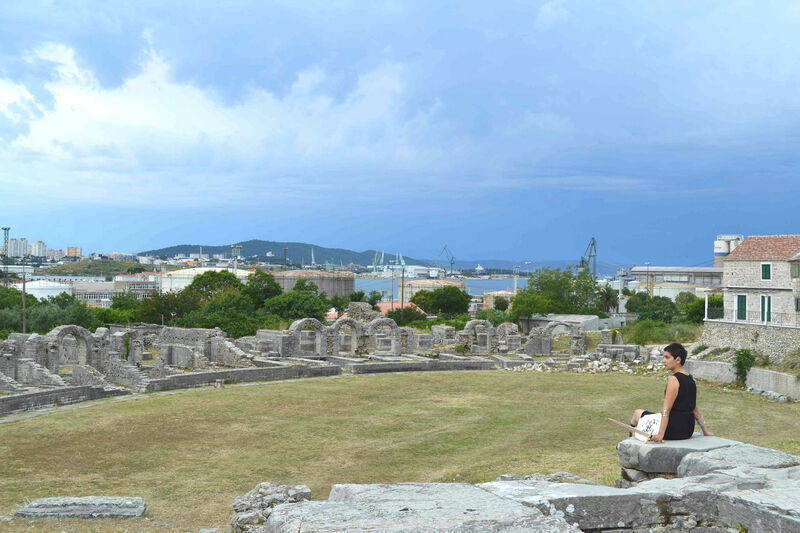 All the pictures were taken in amphitheater of the ancient city Salona, 5 km from Split – this is a beautiful place with huge history…I felt humbled knowing that 2000 years ago gladiators were fighting for their lives at this very place!